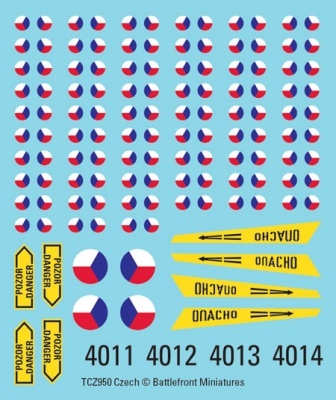 Each of these decal packs contain two National Symbol coloured decal sheets that give you enough markings for four Hind Helicopters and over 100 vehicles. 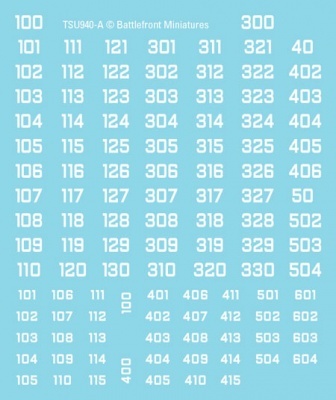 Each of the packs also include two generic vehicle number sheets to personalise your Companies and Platoons. 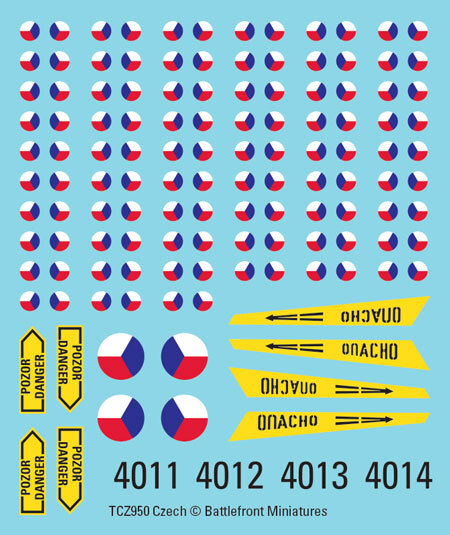 Enough decals for four Hinds and over 100 vehicles plus two sheets of generic numbers for companies and platoons.